Wishes and Dreams--It's All About FIBER! : Wow--One month later!!! 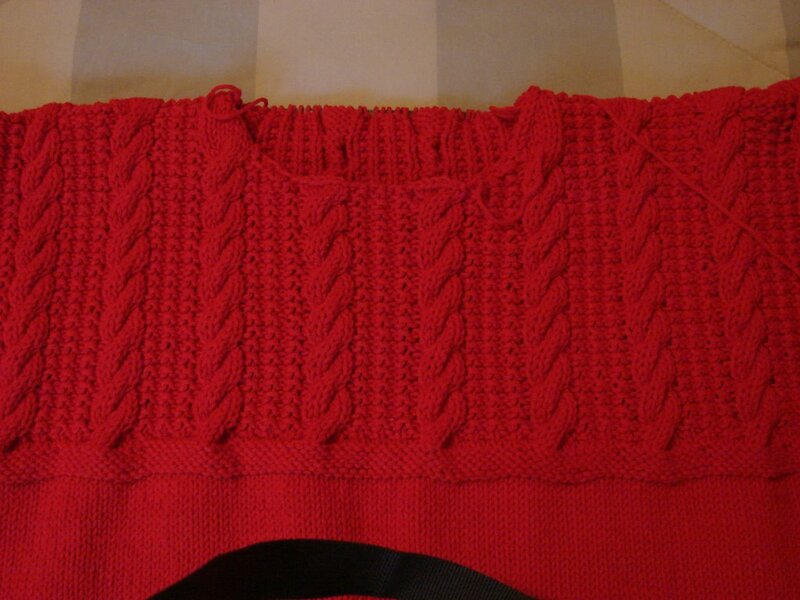 I've been extremely busy this past month, and also had a terrible cold which set off my asthma, so I haven't been posting anything to my blog this month, although I have been knitting up a storm! I've got a few pictures to post, one is the FINISHED!!! 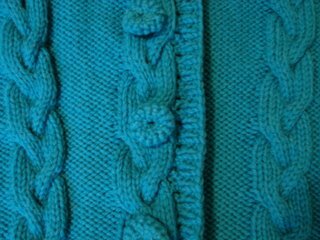 Cascade 220 turquoise sweater. (Thanks to Fay who has been on me for a year to make that sweater!!!) It turned out great! Fit is good too, so I'm truly happy with it. 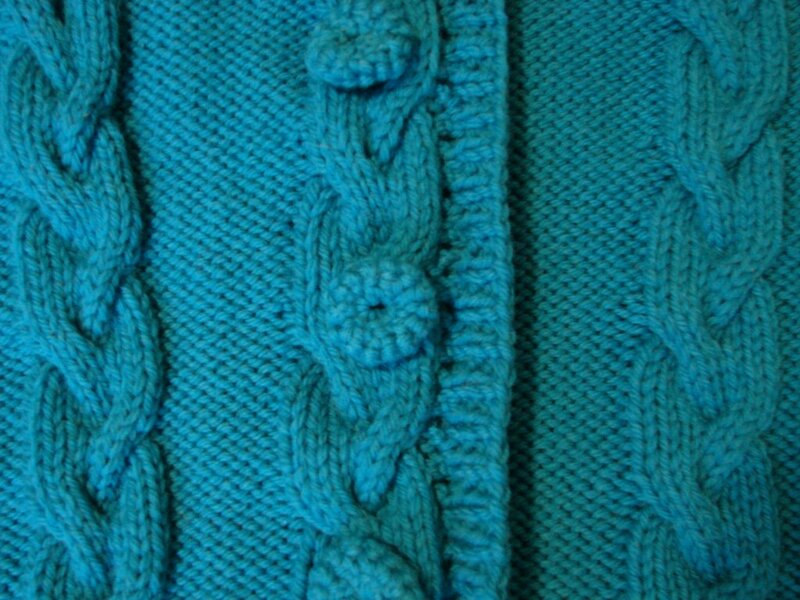 And check out the buttons, they are crocheted, I was really impressed with this aspect of the finishing. 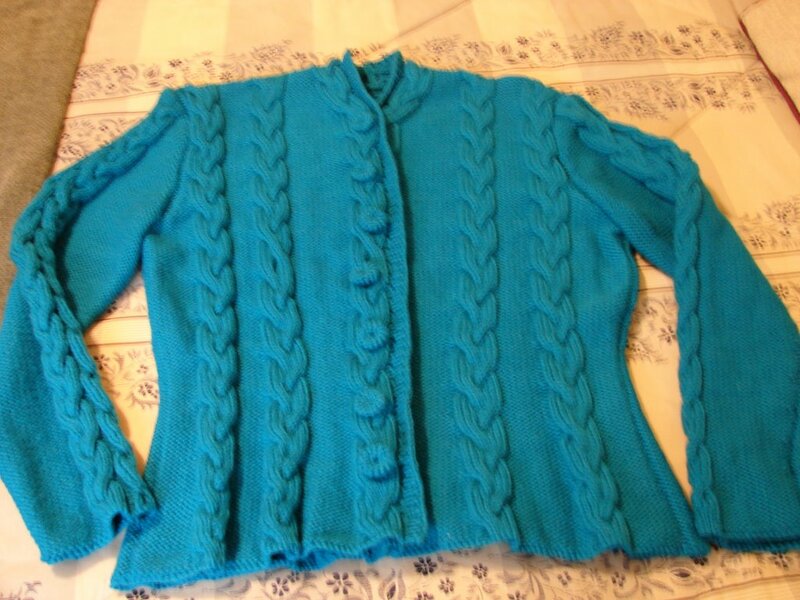 Any other button would have definitely detracted from the finished good looks of this sweater. 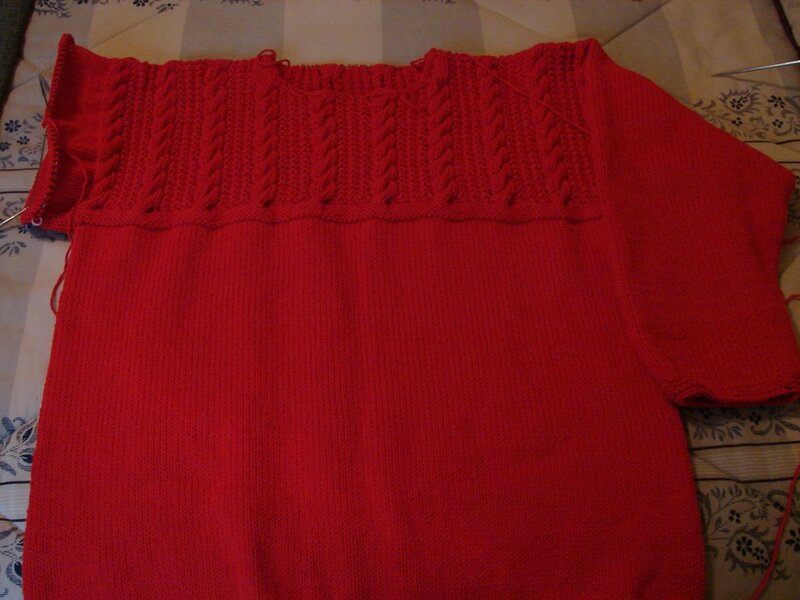 The second sweater, the red one, is a gansey that I've been wanting to do as a sort of "mindless but nice" project. It's done out of (gasp) Lion Brand cotton which I picked up somewhere to do a sweater for my grandson, but when I realized I had enough to do one for me, voila! I still have the majority of one sleeve and the collar to go, but that won't take long. As a matter of fact, I plan on taking the finished item with me on Thursday when I go up to North Dakota to see my mom. The temps are glorious up there right now, 49 evening and 72 day. That calls for a nice sweater, don't you think! And it sure beats the 90s and 70s we are having here in Florida. It will be a nice break. I'm also working on a white t-top which I don't have a photo of it right now, but that will be my vacation knitting, and I hope to finish it shortly also, in time to wear this fall.